Having quite enjoyed the Yoichi 10 year in an earlier sampling session, I will admit to being rather excited to explore more what this distillery has to offer! I particularly recalled Dr Bill Lumsden (of Glenmorangie and Ardbeg fame) sharing that of all the Japanese whiskies, he found Yoichi the most interesting. However, can I admit to being a wee bit disappointed with the NAS expression? I was honestly hoping for more… It just didn’t seem to have those delicious autumn notes I associated with the earlier Yoichi whisky. And this is all the more devastating when you realize that with Nikka’s 2015 announcement of a whisky “shake up,” the age statements from both Yoichi and Miyagikyo are no more… at least for the foreseeable future. From once potentially being considered in 2007 as one of the “cheapest whisky” (how times have changed!) in Japan, the Yoichi NAS of today is a reflection that the single malt stock shortage at Nikka is indeed very real. 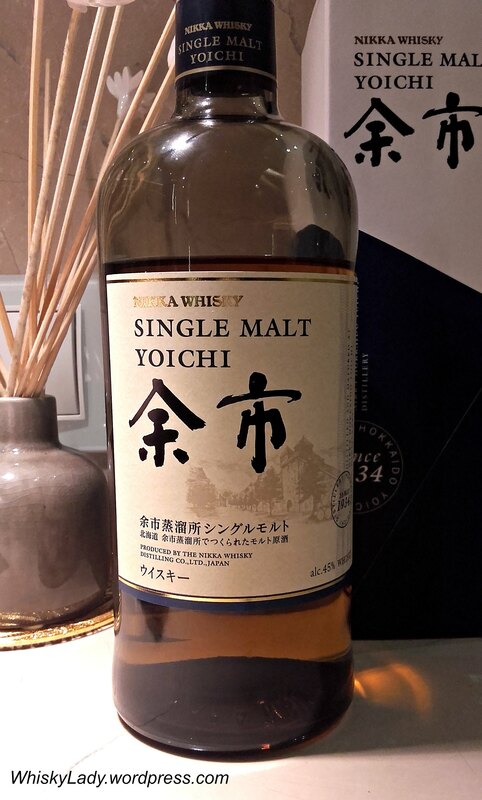 Yoichi single malt has pleasant peaty notes and smokiness originating from the traditional direct coal-fired distillation as well as a briny hint delivered by the sea breeze during the aging process. What else did we sample in our far east evening? This entry was posted in Beyond Scotland, Japan and tagged Nikka, Yoichi, Yoichi 2015, Yoichi NAS 45% by Carissa Hickling. Bookmark the permalink. Thanks for the link, and great notes, Carissa! Seems like the NAS is a different animal than the old beloved age-statement bottlings — not as close an equivalent as the NAS Nikka Taketsuru Pure Malt is to the Taketsuru 12, say — but for the price, I’ve been enjoying it quite a bit. Kanpai!